Born in Argentina, Nelly Kaplan studied economics at the University of Buenos Aires. Passionate about cinema, she abruptly put her studies on hold to go to Paris to represent the new Argentine film archive at an international convention. She stayed there and became a correspondent for different Argentine newspapers. She met Abel Gance in 1954, who allowed her to have her first work experience with the filming of La tour de Nesle. She became his assistant for the filming and showing of the program “Magirama” (triple screen) in Polyvision, then, always by Abel Gance’s side, she collaborated with him on Austerlitz. He trusted her with the direction of all the second crew’s action scenes during the filming of his movie Cyrano and d’Artagnan. Meanwhile, she published under her name The Manifest of a New Art, about “Magirama,” and prefaced by Philippe Soupault. In 1960, she published a report on filming entitled The Sunlight of Austerlitz, through the Plon publishing house. Starting in 1961, she began undertaking the direction of an entire series of art shorts that were met with success worldwide and which won numerous prizes in various international festivals. Among these shorts were Gustave Moreau, a brilliant analysis of this genius painter who is at the origin of essentially all modern art; Rudolphe Bresdin, the engraver; Designs and Marvels, on the sketchbooks of Victor Hugo; and At the source, a beloved woman, a title based on the secret notebooks of the painter André Masson. In 1965, under the penname of Belen, she published a collection of short stories through the J.J. Pauvert publishing house, Le reservoir des sens, which was a great critical and popular success. In 1967, during the retrospective organized at the Grand Palais for Picasso’s 85th birthday, she directed a mid-length feature in color, The Picasso look, which won a Golden Lion at the Venice Film Festival. In 1968, she collaborated with Claude Makovski on the script for the movie La fiancée du pirate/A very Curious Girl, which she directed in 1969. In collaboration with Claude Makovski and René Guyonnet, she wrote the adaptation of Papa, les petits bateaux… which she filmed during the summer of 1971. In 1972 she published Le collier de Ptyx, a ciné-roman; and in 1974 Un manteau de fou-rire ou les mémoires d’une liseuse de draps (Through the J.J. Pauvert publishing house). The book presented problems with a prudish censure. In 1974, Nelly Kaplan cowrote the script of Claude Makovski’s film Il faut vivre dangereusement, which she also produced. In 1976, she wrote with Jean Chapot the script for Néa, which she filmed in Switzerland and Paris in March of that year. In 1979, she co-wrote Charles et Lucie with Jean Chapot and Claude Makovski, which she shot in spring of the same year. 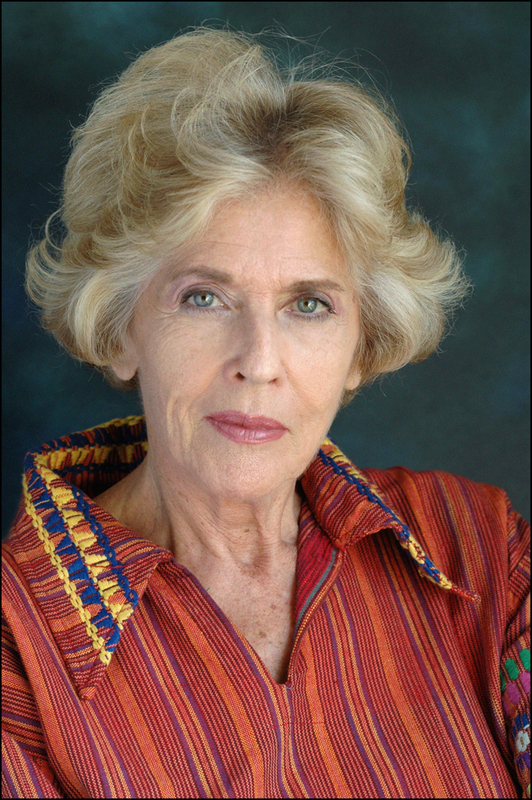 In 1980-1982, she co-wrote scripts for several TV movies directed by Jean Chapot, including Un fait d’hiver, Livingstone, Ce fut un bel été. In 1985 she directed Pattes de velours, which originated from an original script co-written with Jean Chapot. Pierre Arditi, Michel Bouquet, Bernadette Lafont, Caroline Silhol, and Roger Carrel were the performers. In 1988, a new extended version of her collection Le réservoir des sens was published under the J.J. Pauvert publishing house. In 1990, she cowrote the TV movie Les mouettes with Jean Chapot, who also directed it. It had the highest audience in France for a TV movie. In 1990-1991, she wrote and directed “Plaisir d’amour/Pleasure of Love” with Pierre Arditi, Franoise Fabian, Dominique Blance, Heinz Bennent, and Pierre Dux. This movie, whose script was written in collaboration with Jean Chapot, was produced by Claude Makovski through Cythère Films. As a cowriter of the script for Jean Chapot’s TV movie Honorin et Lorelei, they achieved a new record audience level in November 1992. The movie scored 4 nominations at the Sept d’or. In 1992, she cowrote the script for “Polly West is Back” with Jean Chapot, who also directed it. In 1993, she cowrote the fourth installment of the “saga” of Saint Apolline with Jean Chapot, Honorin et l’Enfant prodigue, directed by Chapot. In 1994, she wrote, at the request of the British Film Institute for their collection BFI Classics, an essay on the film “Napoleon” by Abel Gance. In 1994 as well, the Museum of Fine Arts of Boston, the Art Institute of Chicago, and the National Gallery of Washington, organized a “retrospective” of all Nelly Kaplan’s films. In April 1995, a new edition of Réservoir des Sens, followed by La Gardienne du Temps were released through the Castor Astral publishing house. 1997 saw the release of Georges Sebbag’s book, Le point sublime : Breton/Rimbaud/Kaplan/The Sublime Point: Breton/Rimbaud/Kaplan (Jean-Michel Place). In February of the same year, the Lumière Institute in Lyon dedicated a homage to her, with a projection of her films. At the end of 1997 and beginning of 1998, Nelly Kaplan wrote for and with Jean Chapot the script for the TV movie La Petite Fille en Costume Marin, broadcasted by France 2. March 1998 saw the release of her novel Aux Orchidées Sauvages, published by Différence. In November 1998, her novel A Coat to Laugh At, was released by Différence. In 1999, the Film Library of Toulouse and the School of Beaux-Arts paid homage to her literary and film repertoire. In Februrary 2000, the Film Library of Lausanne organized a “retrospective” of her repertoire of films up to that point. In June 2000, the “Cahiers Philippe Soupault No. 3” published a very long interview with Nelly Kaplan, as well as different excerpts of her literary and film works. In 2002, her novel Ils furent une étrange comète was published by Castor Astral. In September of that year, the Balzac cinema in Paris held a program entitled “Kaplan in All Her States,” a festival of her principal films. This festival would be followed by a national broadcast. On the same date, her biography, Nelly Kaplan, portrait d’une flibustière / Nelly Kaplan, portrait of a Pirate, by Denys-Louis Colaux, was published by Dreamland. In December, the University of Paris 8 organized a colloquium around her literary and film work: Nelly Kaplan, le Verbe et la Lumière. The texts of this colloquium were published by L’Harmattan in June 2003. In January 2005 her novel Cuisses de Grenouille was released by Maren Sell, for which Nelly Kaplan prepared a film adaptation. In May 2008, the book Mon Cygne, mon Signe chronicling her correspondence with Abel Gance, was released, followed by her novel Et Pandore en avait deux !, published by Rocher. In May 2009, her correspondence with the writer André Pieyre de Mandiargues will be released, under the title Ecris-moi tes hauts faits et tes crimes…, to be published by Tallandier. Her films have been shown in numerous international festivals and distributed on all continents. As a member of the SACD, she has taken part in the board of directors as a member of the Cinema Commission on several occasions. Nelly Kaplan collaborates regularly on the show Des Papous dans la Tête, on France Culture. She has assured the chronicle cinema for 25 years in the Magazine Littéraire. Nelly Kaplan is Commander of the Arts and Letters, Officer in the National Merite Order, Cavalier of the Legion of Honor, and Academician of the Alphonse Allais Academy.